It is never too soon to begin looking for your wedding invitations especially if you want a custom design. The printing time is usually not the bulk of time between initial consultation and receiving your invitations...the design time is the consuming part. to a couple of months in order to tweak all the pieces to your feel. If you see something here you like but the colors don't work for you, no worries colors and graphics can be changed to suit! with programs, place cards, seating charts, thank you notes and any other paper pieces needed to make the day complete. Cotton Ink does custom work. People often equate custom with expensive and sometimes it can be depending on the number of pieces needed for the invitation suite, the print process and all the bells and whistles added. However, it does not have to be. 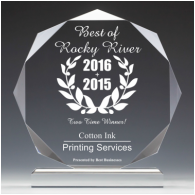 At Cotton Ink we will create a custom wedding invitation at a great price on beautiful cotton stock because that is our standard. calligraphy? We don't do that work ourselves but we know people. Good people with great skills. Square envelopes cost more to mail, always! They just do. We stationers did not get together and make this a rule but the Postal Service did. Having your invitation weighed is a good idea because not only does shape and size affect postage but weight does, too. So please check with the post office BEFORE purchasing stamps for you wedding invitations. Yes, we can and do serve many couples OUTSIDE the rocky river and cleveland area.​ Our clients have come from Philadelphia, Boston, Providence, Manchester, Columbia, Portland, Rochester, La Jolla, Los Angeles, Denver, Chicago, Naples, South Carolina, and Ontario, Canada to name a few. So distance is just not a thing!​ Cotton Ink is happy to help you wherever you nest. Once your wedding day arrives throw caution to the wind and live in the moment! Don't worry about the events of the day or you will miss out. Just be present, feel and enjoy the entire day! Email us with your wedding questions. 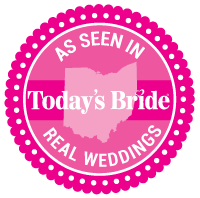 We are happy to help and are a good resource for other wedding needs you may have.